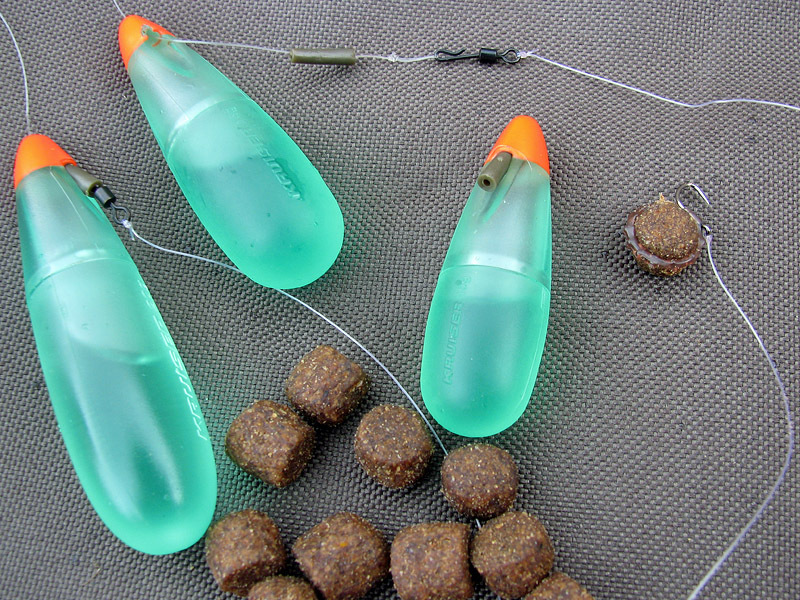 I know the weather's about to turn chillier for a few months, so surface fishing for carp won't be high on many anglers' agendas, but I'm going to share a rig with you which enables great flexibility when using Korda Kruiser surface controller floats. The great thing about blogs is that they're on here indefinitely, so come next spring anglers will be searching for surface rigs and ideas and this may just help them out. The Kruiser, which is a very robust, solid plastic controller, creates a semi-fixed "bolt-effect" due to having a rubber insert which the hooklength swivel lodges into. I do have a few issues with this controller design - it's off-centre shape can be tangle prone on casting (despite what the packaging states) and it also makes much more of a splash than I'd like upon landing - however, it offers brilliant presentation, casts easily when coupled with a light, through-action rod and is very unobtrusive once the float has settled. 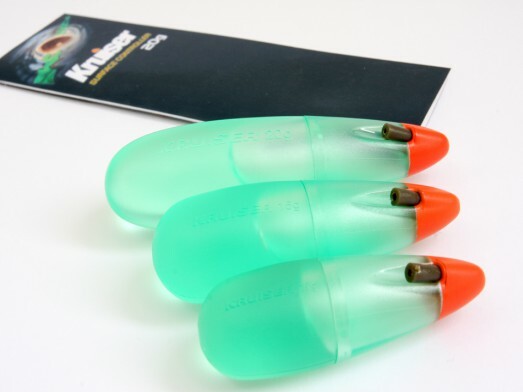 The Kruiser is available in 3 sizes and if you're travelling light around a venue, trying to locate different pockets of feeding carp, you can never say 100% which size you'll need, as you may find fish further out than you anticipated or be faced with a head-wind, etc. So, it makes sense to carry at least one of each size Kruzer with you, but do you really want to waste time re-tying swivels if you happen upon some feeding fish? 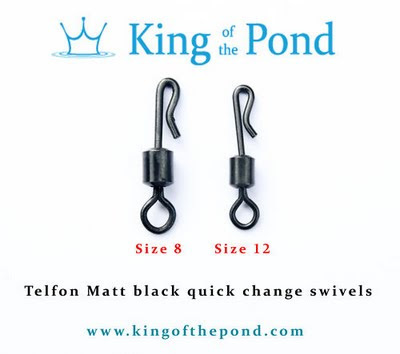 I've come up with a solution, which involves the awesome little size 12 King of the Pond Micro Quick-Link Swivels which I mentioned a few months ago. I've really been won over by the benefits of quick-change swivels and I'm finding ways of sneaking them into more and more of my rigs. Thread on your Kruiser, in through the top, out through the silicone sleeve. Tie a small overhand loop on the end of your mainline. Tie your hook onto hooklength as usual (I tend to use minimum 3 feet of low-diameter floating line, to a short-shank barbless hook between size 12 and 6), and tie the tag end to the "standard" loop of the KOP mini quick-link swivel. Thread the mainline loop onto the "quick-change" hook on the swivel. Pull controller float downwards until the swivel safely lodges into the silicone sleeve. 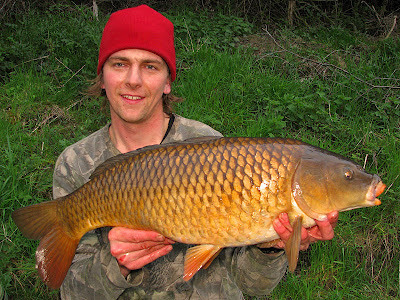 Attach a bait and get catching some carp! 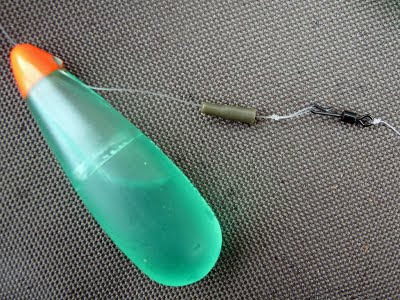 Now each time you need to change the size of your controller, simply pop the swivel out of the silicone sleeve, unclip the loop, slide off your float then thread on your new one (a baiting needle can help here) and reverse the process. ﻿Surface fishing is by far my favourite way of fishing for carp, so I hope this inspires a few people to either give it a try or tweak their rigs for improved flexibility.